Howard Ruzgar has brushed shoulders with some of the most famous celebrity chefs, and used his contacts in the chef world to our advantage. 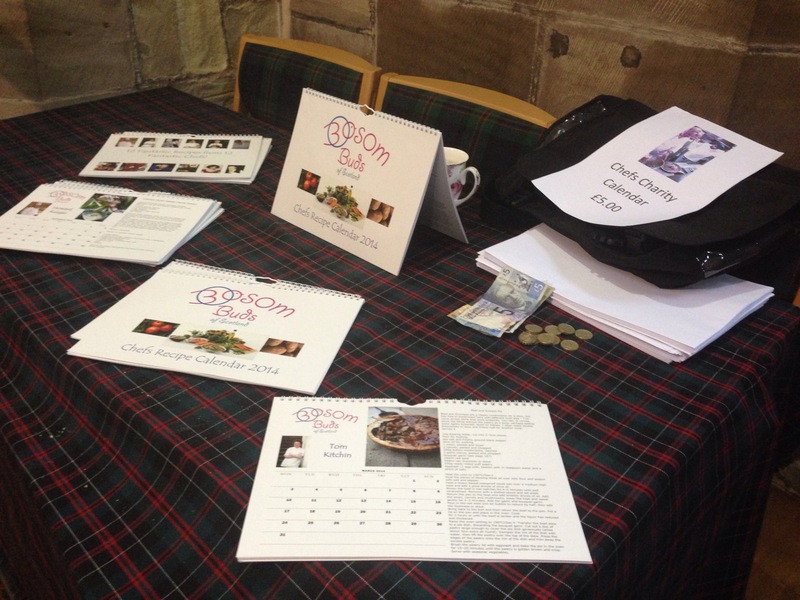 As a result, we now have wonderful A4 Bosom Buds of Scotland 2014 Chef Recipe Calendars for sale at only £5 each. Each month displays a calendar, a picture of a chef and / or dish, and has an easy to follow recipe, which chefs such as; Nick Nairn, Tom kitchin, Anthony Worrel Thomson, Nigella Lawson, Silvena Rowe, Atul Kochhar and Howard Ruzgar have donated to our Charity Calendar. At this price, why not give them to your friends and neighbours for Christmas…its a lovely gift, which helps to spread the word about Bosom Buds of Scotland and raise funds for us all in one. Calendars will also be made available to purchase at St. John’s Oncology Unit from Monday 25th November. If you are unable to attend any of these stalls and wish to purchase multiple calendars, please contact either Mags (mags@bosombudsofscotland.org / 07709612777) or me (trish@bosombudsofscotland.org / 07706788120) with details of your order and we will do our best to find a way of getting them to you.